Lucky you! You're spending time in the tropical paradise of Barbados. Whether you are a local or visitor there are many things and places to see and visit, and hopefully you will have just enough time to experience the many faces of the island. 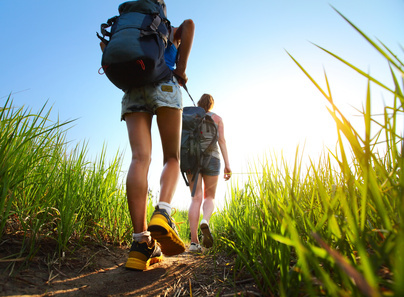 Below are a few of our suggestions on how you can make the most out of your holiday. Our year-round sunny weather allows you to make the most out of outdoor activities. There are a few parks across the island that gives you fantastic views of its landscape, while featuring a few interesting monuments. These parks can be perfect for a family picnic, or as part of a relaxing day in Barbados. This Park is located at a cool 900ft above sea level and sits on approximately 17 acres of lush land. It is a picturesque spot, perfect for picnickers. The Farley Hill Great House, once said to have 99 windows, has been ravaged by hurricanes and fires. Some of its coral walls still stand, and adds a rustic effect to the Park. Also called the ‘Lungs of Bridgetown’, this beautiful Park features an old great house, manicured lawns, and even a children’s park. Perhaps the most striking natural features in Queen’s Park are its two baobab trees. Shipped to Barbados in 1738 from Guinea, Africa, these baobab trees remain the only two baobab trees in Barbados, with one approximately 61 1/2 feet (18 m) in circumference, making it one of the largest trees in Barbados. Unlike the other Parks listed above, Folkestone is a marine Park, with the ocean taking the place of grass! This marine park is well known for its artificial reef, created by the deliberate sinking of the ship Stavronikita. This reef is located less than half a mile from the shore and is 120ft deep. These deep crystal clear waters of the Caribbean Sea makes this is an excellent spot for experienced scuba divers to explore. There is also an inshore reef found in the Recreational Zone of the Reserve. This area is mostly utilized by snorkelers. Other parks that you may be interested in visiting are Three Houses Park and King George V Park, both located in the parish of St. Philip. Barbados boasts of several buildings that were erected in the 18th and 19th century and are still standing today. With architecture varying between Gothic and Gregorian, these buildings tell part of the story of Barbados’ history. These are great sites to see especially for the architecturally inclined, and during your week here you are almost certain to happen across several of these buildings in passing. This Anglican Theological College has a few things to boast of. 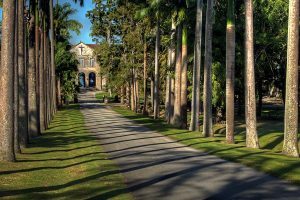 Not only is it located in the pristine countryside of St. John, on a hill overlooking the captivating Atlantic Ocean, surrounded by beautiful lush vegetation, jewelled with a breathtaking lily pond, Codrington College also is the oldest Anglican theological college in the Western Hemisphere. 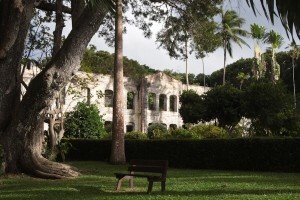 Barbados is home to two of the three Jacobean style houses in the Western Hemisphere - Drax Hall and St. Nicholas Abbey. St. Nicholas Abbey is located in St. Peter and was built from bricks and limestone. Some of the most pronounced features of this architectural rarity include its curved Dutch gables, chimney stacks, Chinese Chippendale staircase, cedar paneling and coral finials. Inside this mansion you will also find antiques and old china. Contrary to the name, St. Nicholas Abbey was never a religious abbey. Sugar has been grown on the plantation since 1640 and there is still the evidence of the mill and sugar making edifices. Constructed in 1784, this Anglican Church is the oldest ecclesiastical church in the island. Its architecture is one of its most fascinating features, and is more Gregorian with just a few Gothic features. Arguably however, its most fascinating feature is an outstanding resurrection painting by American artist, Benjamin West - “Rise To Power”. This beautifully restored old great house is more than 300 years old, originally built around 1660 by Matthew Chapman, an Irish/English planter. All of its rooms are open for public viewing, and a tour through this great house is like a step back in time. This historic windmill is located in the lush, hilly terrains of the countryside in St. Andrew. 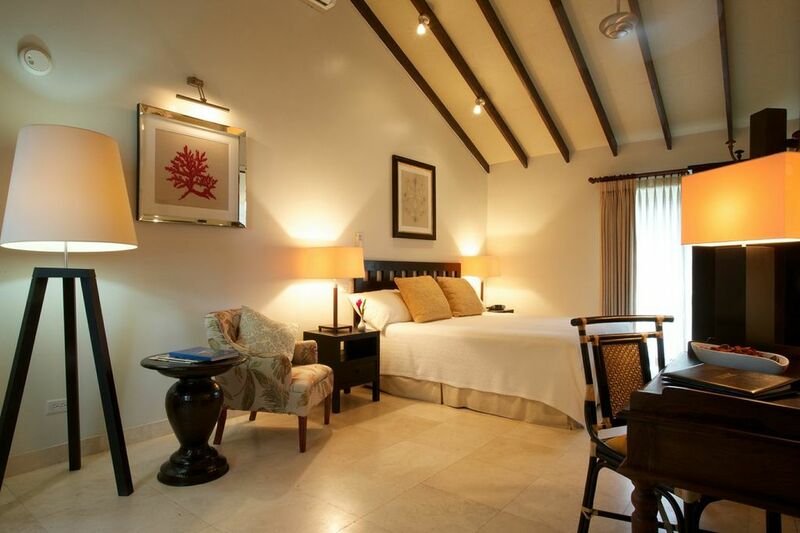 Its location affords a spectacular view of Barbados’ East Coast, and it is surrounded by land used for dairy farming. Built in 1727, it remains one of two intact, restored windmills in the Caribbean. The other windmill is at Betty's Hope Estate, Antigua. However, Morgan Lewis Windmill remains the only windmill in the world that is operational. 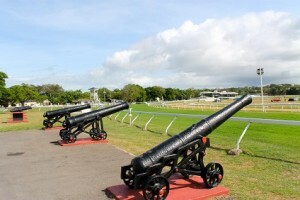 Barbados carries with it a very strong military history, and this is evidenced in the plethora of military monuments scattered across the island. If you have a week in the island, a day tour around to see these attractions can help you gain a better understanding of Barbados and how the culture was shaped. Located in National Heroes Square, Upper Broad Street, Bridgetown, this four-sided war memorial was originally built in 1921 to commemorate the Barbadians who died in World War I (1914-1918), but has since also been inscribed with the names of Barbadians who died in World War II (1935-1945). Another one of Britain’s pervading influences can be seen in the Lord Nelson Statue in National Heroes Square, Bridgetown. This bronze likeness was erected in March 22, 1813, making this statue older than the Nelson Column in Trafalgar Square in London by just under 30 years. Interestingly, National Heroes Square was formerly called Trafalgar Square, before it was renamed in 1999. 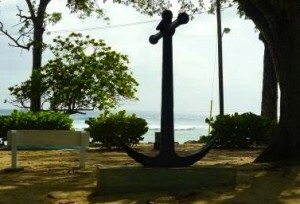 This monument commemorates the first English landing in Barbados, marked when Captain John Powell arrived here in 1625 and claimed the island on behalf of King James I. It is in the shape of an obelisk and it was part of the 300th anniversary celebration of the discovery of Barbados in 1905. It is interesting to note that this monument has the date of 1605 as the year of discovery, although a plaque was placed at the base of the monument in 1975 correcting this date to 1625. It was placed in Holetown as this town is the area where the first English Settlers landed. After all the seriousness of visiting those military sites, a good way to unwind while still taking in Barbados’ unique lands is to take a trip to see Barbados’ only island- Culpepper Island. This tiny island is located a little over 250 ft off Barbados on the eastern coastline of St. John. It is in the Atlantic Ocean, and it is possible to wade over to this island in low tide. Swimmers are cautioned to be careful as the current here can be very strong. Culpepper Island is 220 ft x 75 ft and rises approximately 20 ft out of the water. It is a fantastic island to see, and a great adventure to those who get across. Be sure to walk with your camera as its view is simply stunning. With a week to spend in Barbados, you have many, many hours of sunlight that you can spend tanning on one of our golden-sand beaches. Depending on what you want to experience, be it water-sports or a quiet romantic beach, Barbados surely has what you are looking for. Below you can view beaches by coast or parish, depending on what is convenient for you. And remember, relax! A beach in Barbados is paradise! Once you are in Barbados you cannot ignore the natural beauty of the island. A good thing to do while on the island is to take a tour around to see just how beautiful and tropical Barbados really is. Below are a few of our favourite sites, guaranteed to show you Barbados at its natural best! Prices may vary, so depending on your budget, and time, you may not be able to visit all of the suggested. Be sure to telephone, or inquire at the front-desk of your hotel, ahead of time to confirm prices and opening hours. You can spend a half-day, or even a whole day, simply visiting the island’s treasure drove of attractions. This beautiful living cave features stunning views of stalagmites, stalactites and other underground wonders. It is located in St. Thomas, almost in the dead centre of the island, and is one of the main natural attractions on the island. You can explore the Cave in a tram, or you can even get down and dirty while trekking through its refreshingly cool waters. This is a must see especially for nature lovers, and gives an inside look on Barbados’ natural limestone rock formations. This gully, formed from the collapsed roof of caves, is still connected to the island’s largest main cave - Harrison's Cave. Along your walk in this gully you will be able to still see evidence of stalagmites and stalactites. Welchman Hall Gully has a vast and interesting assortment of Barbadian and exotic plants and wildlife and is rich in natural history. The grapefruit, originally from Barbados, is also said to have been started in this three-quarter mile long gully. This is also a great location to spot some of the island’s Green Monkeys. This sea cave offers spectacular views of the untameable Atlantic Ocean while trapping sea water into its naturally formed pools. However, this is not its main attraction. This cave is home to sea anemones, or ‘animal flowers’. The flower consists of tentacles that can sting and paralyze a passing fish in the larger variety of species. The tentacles retract into the stalk or stump for safety on contact with an alien object like a stick. The flower then waits a while before coming out of the stalk again to allow danger to pass. These ‘animal flowers’ are truly amazing to see, coupled with the cool waters of the Atlantic Ocean. Perfect for nature-lovers, these scenic tranquil gardens feature over six hundred different species of plants adapted to a range of tropical environments, along with a few small animals. This makes it the most extensive collection of tropical plants in Barbados. This breathtaking scenery is further enhanced by a stream that runs though the property, forming serene waterfalls and pools. These are just a few sites that we recommend for your holiday. Other natural attractions include Orchid World, the largest and most extensive orchid collection in the Caribbean, the Flower Forest and the Barbados Wildlife Reserve. While in Barbados, you should take some time out to do some shopping. There are many areas you can find great pieces of arts and craft that make fantastic souvenirs. Bridgetown has an abundance of stores, and you can find duty-free shopping here easily. Pelican Village, located very near the Port in Bridgetown, is an area designated for Bajan arts and crafts, and you can find a variety of items here including jewellery, basketry, glass art, wood sculptures, among others. Holetown and Speightstown also have a number of stores and malls, and you will be able to find many street vendors who you may be able to bargain with. Another great place to stop off for souvenir shopping is Tyrol Cot Heritage Village. Once the family home of one of the founding fathers of Barbadian democracy, Sir Grantley Adams , and his son, the second Prime Minister of Barbados, The late J.M.G.M. "Tom" Adams, Tyrol Cot Heritage Village currently stands as a heritage house and craft village. You can get in a bit of sight-seeing here, and end your tour with shopping. There is no lack of interesting places to shop and things to buy in Barbados. The creativity of Barbadians is alive in the things that are wrought here with their own hands. It is a great idea to commemorate your vacation on this tropical island with a souvenir fitting to the island. And remember, you can always take a break from your shopping to have a drink at a beach bar, or soak in some sun on one of our many beautiful beaches. You have a whole week in Barbados to taste our authentic Bajan food! You can partake in an Oistins grilled fish on Friday or Saturday night, as these times tend to be the liveliest, and taste the delicious freshly-caught fish offered. Saturdays are popular days in Barbados for Pudding & Souse, a delicious meal comprising of pickled pork and sweet potato pudding. If you have a sweet tooth you might want to try a Coconut Bread, or snack on some Tamarind Balls or even Fish Cakes. In Barbados we love good food, and you are almost certain to find a Bajan meal that suits your tastes. Don’t be shy! Part of the Bajan experience is the Bajan food! A week in Barbados means you have quite a few nights to spend with us, so why not make the most of it! You can enjoy dinner at one of our many restaurants on the island, offering Greek, Italian, French, right down to Bajan cuisine! 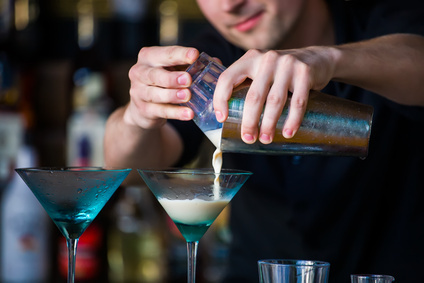 If you are looking for something a little bit more festive and noisier, we have a number of bars and clubs scattered all across the island. Perhaps the most popular nightlife spot on the island is St. Lawrence Gap located on the south coast. This stretch of road features many clubs and bars to choose from, and often times many people ‘club-hop’ from one place to the next along this Gap. You will also find here many visitors and locals, all enjoying the sights, sounds and smells of the Gap. There is food, drinks and music in abundance here, and there is also a strong police presence to ensure order. On the west coast, right by Holetown, is also a very popular spot for nightlife on the weekends. Second Street is filled with bars and clubs, and is a favourite place to go for many locals and visitors. Right across the road is also Limegrove Lifestyle Centre - an excellent place to also shop. Here at this Centre there is a cigar lounge and a bar that is very popular and active on the weekend. 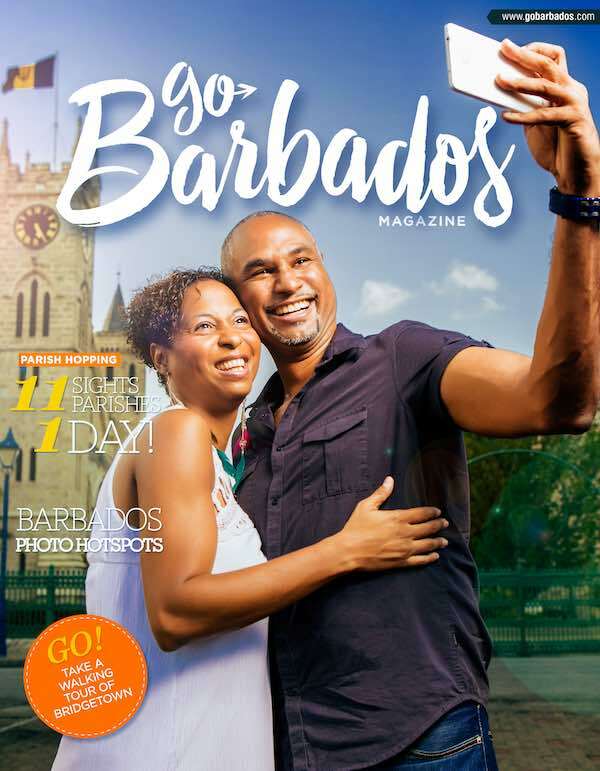 You are sure to have a great time experiencing Barbados at night, and it is also a fantastic way to interact with the locals, and hear about other visitors’ experiences on the island. There is something for everyone.